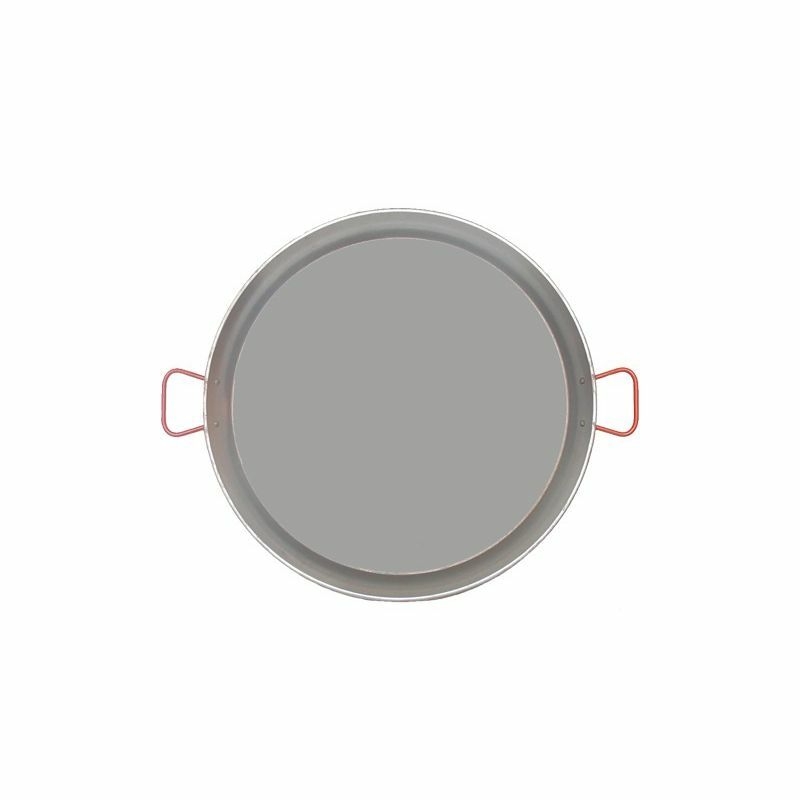 The Paellera pans are flat and round, in stainless steel or in cast iron suitable for cooking Paella. This pan differs from the other for its size, its diameter is between 24 and 90 cm. The height of the edge goes from 5 to 12 cm, always depending on the size of the bottom of the pan. You can prepare from two portions and get to serve up to 60 people. Before using for the first time the paellera must pass for a frying process, that if repeated several times leaves a natural layer on the pan so as to protect it from rust and prevents sticky foods. 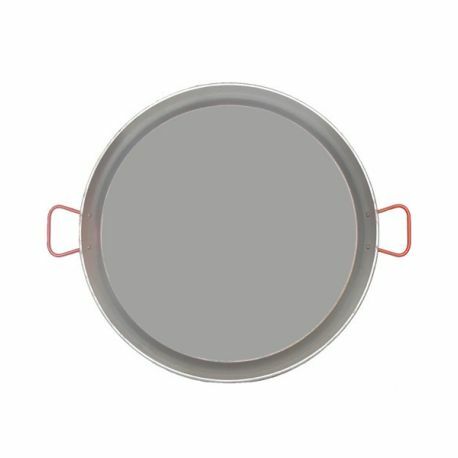 This pan has a diameter of 42 cm and is ideal for the preparation of 10 portions.